Elkagorasa wakes up stiff and sore. He did not sleep well again. He dreamt he fought Garrosh yet again. This time the team that came with him different, but the fight came out the same. Garrosh is imprisoned for his deeds. Only later to escape with the help of that insidious Kairoz of the bronze dragon flight. He looks around his bunk in the Inn, finding all his familiar items, he sighs with relief, he can rest today. Nothing planned all morning. Sitting up he spots his well worn robes and the weapons that seem to be twitching for a fight. Outside the doorway, he can see the goblins, Branzlit and Perixa, crossing the courtyard to open the Bank. They appear to be bickering about some transaction or another in their own Goblin way. This causes Elk to chuckle to himself. Hopping down from his bunk, he lands on the plank floor with a soft thunk. Strides over to the basin, wash his face, then pull on his light slippers, and finally grabbing a turkey leg from Gryshka. Out for a quick run. Out the front gate, down the Razor Hill, following the road towards the Crossroads, cross the river and turn north at Far Watch Post, follow the road then trail until reaching Talrendis Point. 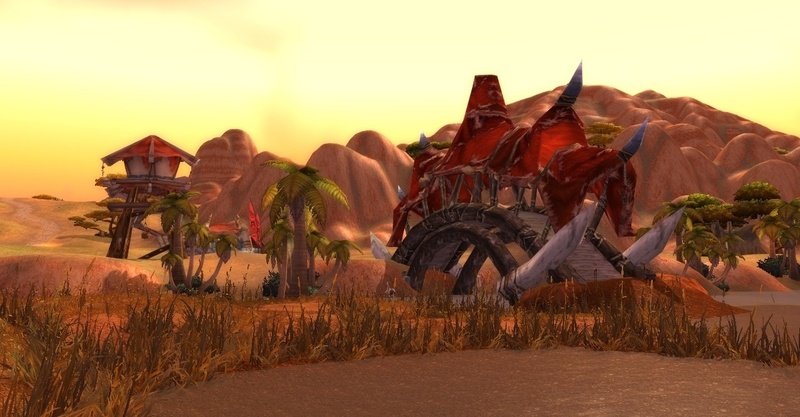 Finally pass through the back entrance of Orgrimmar, run down passed the war machines, passed the constant the brawler's guild, and jump off the dock, diving into the pond. Ahhh.. Despite his hulking orc body, he swims smoothly across. 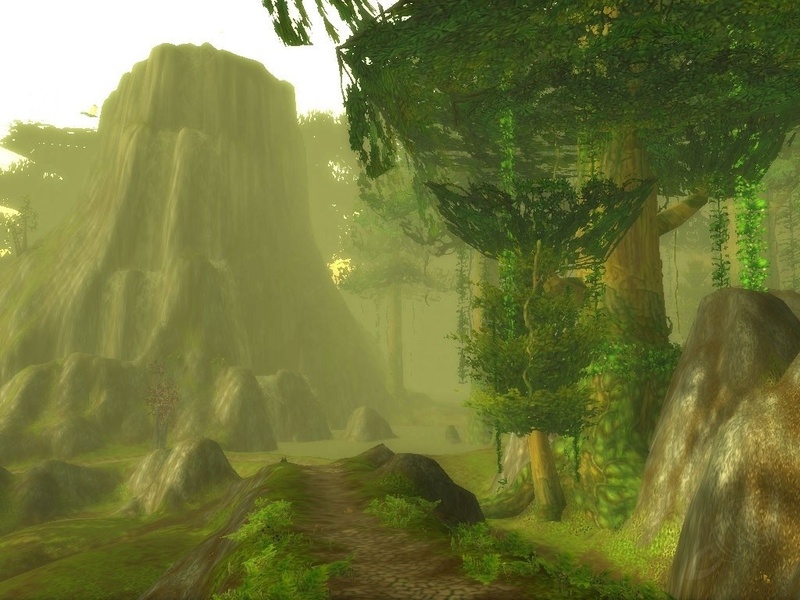 Elk loves that run, as it passes through places that have become his fondest memories of home. Even after Deathwing's destruction, the Barrens have survived and managed to adapt. All of the new plant growth bringing new life to the former dry. The plants, the animals, the scenery, the smells, all bring bright memories while off adventuring in foreign lands. Dripping wet from his swim, Elkagorasa saunters through the tunnel from the pond towards the Drag. Wisps of smoke come up from the dark magics performed down there, burning his nostrils. This brings a giddy skip to his step and he picks up his pace, walking faster along the path back to the Valley of Strength. Upon reaching the Inn, he grabs his gear and dresses. Uses the restroom. Then picking up his backpack with the hidden gold coin pocket and slipping it over his shoulder, he heads out to the taxi stand. "One to Camp Ataya" and off the griffon flies towards Feralas. Much to his surprise, the wind rider knows exactly where to go and starts heading off over the city. Soon he is soaring over the Azshara and the spectacle of the goblins. Below he can see numerous orc and troll joy riders on the rocket sleds going between the multiple stops. 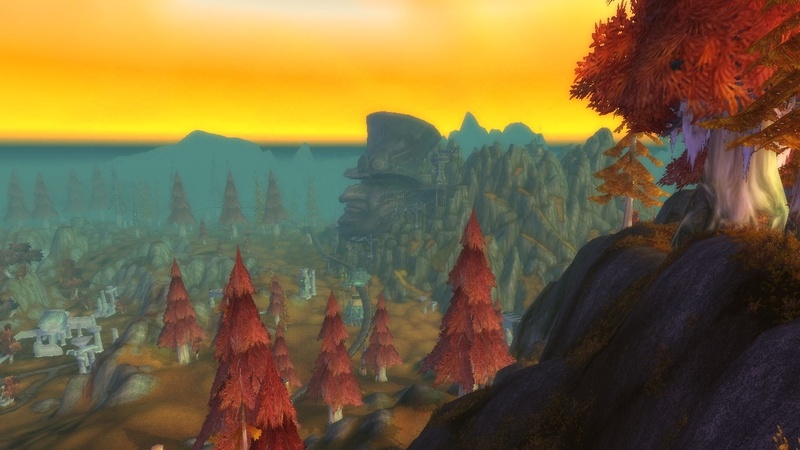 Off in the distance, the monolith of Gallywix, forever a reminder of the race's ostentatious nature. While on the taxi, the rhythmic beating of the wings puts Elk in a calm, almost meditative state. He often starts to think about various things in his life. How much longer would he do this? Why does he continue fighting the evil? What rewards are there for him? The rest of the ride into Feralas is uneventful. He lands at the camp and wind rider runs over to Tono. They nod to each other in respect, but do not speak to each other. On the outskirts of the camp, Elkagorasa opens his mount journal and summons a flying mount. Lately his favorite mount is his disc of the red flying cloud. 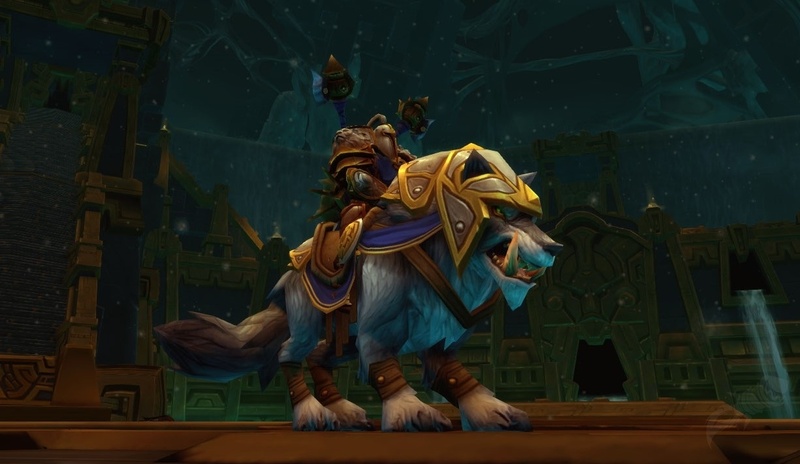 This awesome mount allows him to fly around as if simply flying himself. It's agile, quiet and small. Elkagorasa is able to skim the water then fly up over the tree tops. During his last trip to Feralas, he found a new Goblin ran resort. A bit of guilty pleasure that sprung up after Deathwing's ascent. Elkagorasa's favorite portion is to simply lounge in the extremely hot steam pools. As an orc, he's able stand quite a bit more heat than the blood elves. With that he swims down to the bottom of the pond in search of crabs for his lunch. A little crab kabob cooked over an open fire, along with a cool drink from the wait staff make for an excellent break. Elkagorasa sits down in a lounge chair, feet up and he falls asleep. "CLIFF DIVING EXCURSION LEAVING IN 5 MINUTES" screams the little gnome standing next to him. Startled and partially asleep, Elkagorasa flys out of his seat and almost strangles the tour guide. Looking up, he notices that there's a crowd following him. This causes him to quickly adjust and pat the little guy on the back, then join the crowd. "darn alliance", Elk mumbles to himself. The gnome snickers at him bumbling. The tour group departs soon on foot for the Twin Colossals. It doesn't take very long as the landmark is very close to the Resort. 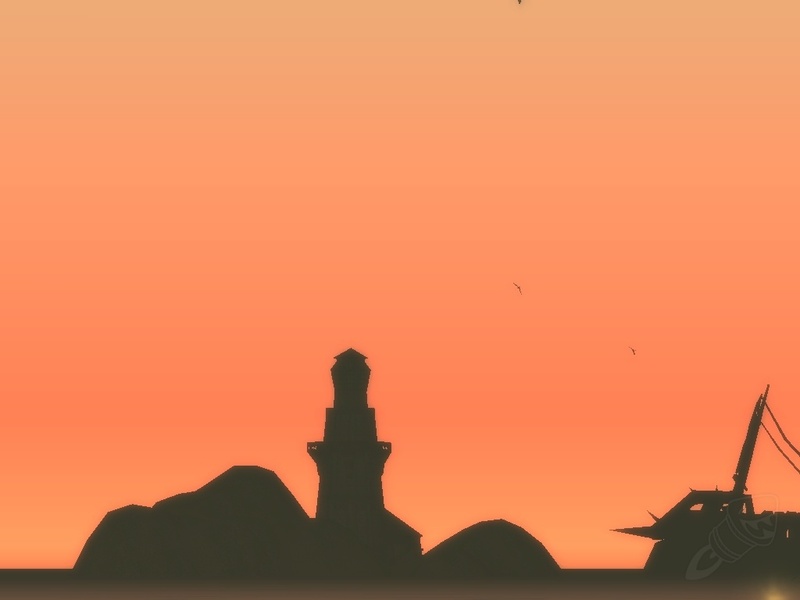 At the bottom, everyone is teleported to the top of the Eastern Colossal. At the top, Elkagorasa trades in some of his crab cakes, for a parachute from the vendor. Grabbing the chute from the vendor, he starts running south and jumps off the edge just as he gets it equipped. Soaring through the sky like a bird, Elk lets out a thundering roar. He even spots animals and the ground who start to run at his sound. Just as his feet brush the tree tops, Elk pulls the ripcord, deploying the chute and landing in the nearby pond with a huge splash. Elk looks up and notices the sun is about to set. His nap must of been longer than he thought. He has one more stop planned before heading home. Elk picks up his pace and starts jogging back to Camp. He waves to Tono and hops onto the nearest wind rider. Whispering in his ear, the animal jumps off the ground and starts flying west across the land. Soon the sulfurous smell of wyrms starts to fill his nostrils. Why anyone would want to live there confuses him. Oh well, not his town. The wind runner lands, but doesn't run over to the goblin master. He seems hesitant. Elkagorasa dismounts anyway, but gently pats the beast on his nuzzle and urges him over. The animal doesn't like it here at all. Once again, Elk mounts his red cloud and starts flying. This time at a much somber pace. As he approaches the former city, he starts to weep gently for the loss. Upon reaching the former entrance, he dismounts and looks out across Theramore Isle. The devastation of the former, bustling Alliance city hits him hard. The mana bomb has left a permanent stain on this place. It's energy can still be felt tingling at his fingertips. He cannot believe the audacity of the former warchief. This makes him even more outraged that Garrosh has managed to escape punishment. 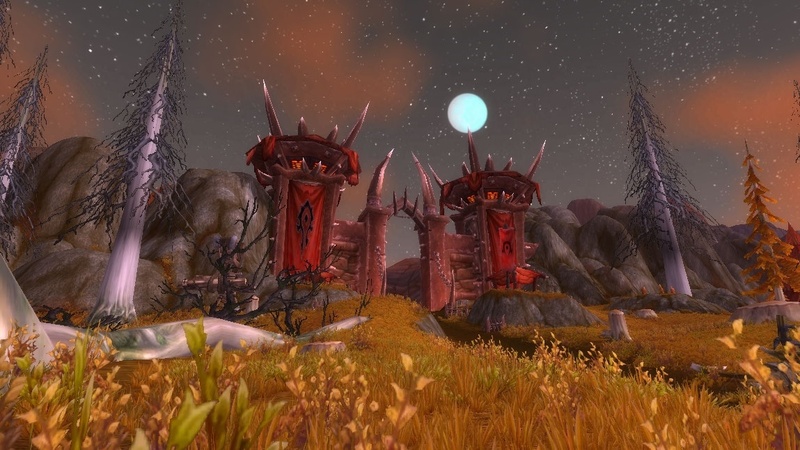 This Iron Horde incursion via the Dark Portal reeks of his doing. Reaching into his backpack, Elkagorasa pulls out his hearthstone, the small palm sized stone that has been with him since the very beginning. He starts the spell that will send him back to the Inn in Orgrimmar. He needs to rest. He has a feeling that in a few days, maybe a week, his entire world is going to change. Back to the battlefields. Back to his war craft.